Migration to New Zealand is more than a stamp in a passport, and at Bilimoria & Associate we believe that we are more than just a New Zealand immigration service provider and work beyond helping the clients for a smooth transition. The healthy environment and political stability of New Zealand has the greatest appeal for migrants. Bilimoria & Associate are Immigration Consultants and specialist in visa processing in Chennai has been providing Immigration services for New Zealand to many people every year from different parts of the country. As an Immigration Consultant Bilimoria & Associate offers the clients full range of immigration services that suits the requirement towards obtaining their visas. In the recent years New Zealand has attracted increasingly number of immigration applicants and the country has become a sought after destination among many professionals and businessmen who are keen to migrate to New Zealand for better prospects and different life style. The flow of people into this country is regulated in terms of those who will benefit the country economy as well as those looking for a new home. New Zealand is seen as a land of opportunity, offering all the material advantages of a modern, industrialized state responsive to inventiveness and hard work, while blessed with an unspoiled landscape and coastline for the un-pressured pursuit of sport and recreation. The country is technologically advanced; it is a progressive democracy renowned for the quality and competitiveness of its farm and manufactured exports, its capacity to initiate social and economic advance and the general prosperity and sporting prowess of its people. The current Immigration Policy facilitates quality migrants to come to New Zealand for mutual benefit. People having police convictions and / or major health problems may not be successful in their Permanent Residence application. The Immigration policy for New Zealand is presently is in favour of married couples, especially if the applicant and spouse hold graduate and / or Post Graduate qualifications which a compliant with the New Zealand Qualifications Framework. Immigration New Zealand facilitates the entry of visitors, students, workers and permanent migrants. 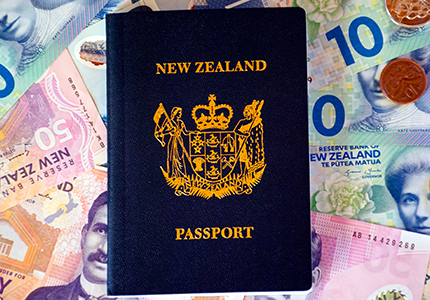 There are different types of New Zealand visas and work permits for those who wish to make New Zealand their home. New Zealand employers are looking for skilled migrants, who are talented and have skills that are in short supply and New Zealand immigration rules are mainly focusing on inviting the skilled migrants to come to here, so if you are talented and have skills that are in short supply, for you. If anybody wishes to lodge an Immigration visa to New Zealand, the applicant should have relevant qualifications to the work experience and the right documentation helps the process. Also, English Language Skills are a must and the New Zealand Immigration Service will require an IELTS score as evidence of the language skill held.